220 Huggies workers have been given the heartbreaking news that they’ll no longer have a job as the company moves operations offshore. What was Prime Minister Scott Morrison’s response? Nothing about the plight of the workers or their families. 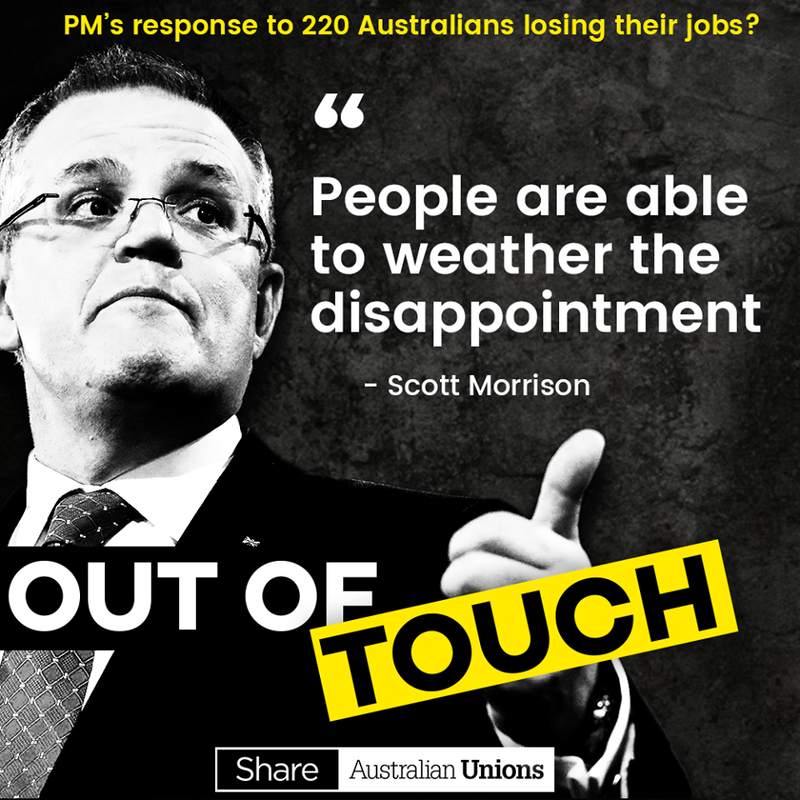 And, if he really doesn’t give a stuff about Australian jobs or workers, he certainly will never install a living wage, restore penalty rates, stop labour hire rip-offs and dodgy contracting or ensure equal pay for women.